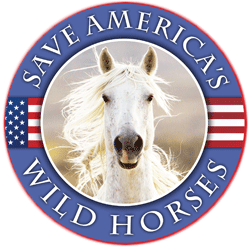 ALTURAS, CA (November 12, 2018) – In Defense of Animals is urging the United States Forest Service to call off an adoption and sale of wild horses planned for Friday and Saturday. The event will risk spreading a highly contagious infection which is present in the mustang herd. One District Attorney, two federal lawsuits, six animal organizations, and over 8,000 members of the public are opposing the controversial plans proposed for the Devil’s Garden wild horses over the next few months. “We urge the U.S. Forest Service to immediately call off its upcoming adoption and sale, and quarantine sick and at-risk horses,” said In Defense of Animals President, Marilyn Kroplick M.D. “This ill-advised public event risks spreading a highly contagious disease. Pigeon fever is an exasperating disease which causes abscesses and swelling, and has been found in the herd of 932 mustangs removed from the Devil’s Garden Wild Horse Territory in the Modoc National Forest. The disease could be spreading between horses who are now packed into the Double Devil Wild Horse Corrals in Alturas, California, without quarantine. The Forest Service plans to dispatch many of the horses on November 16 and 17 via adoption or sale to the public, potentially allowing the spread of this bacterial infection to domestic horses. Multiple animal organizations are suing the Forest Service for its unethical and potentially illegal plans to sell many of the horses “without limitations,” which makes an easy road for slaughter buyers. Horses as young as eight years old who are not purchased during the initial 60 day sales period will be sold for $1 without restrictions, attracting buyers who sell horses on for meat. Many horses with the illness are asymptomatic, and the incubation period is between one and four weeks, meaning that many more rounded-up mustangs may currently be carrying the infection to pass on to other horses. The Forest Service has only just finished its mass removal of almost one thousand horses from the Modoc National Forest and is rushing to put many of them up for sale barely a week later. Males have been hastily castrated, increasing their risk of contracting pigeon fever due to the wound from the procedure. Even though the disease is usually not life-threatening, it is highly contagious. UC Davis-recommended protocols for horses with pigeon fever include quarantine for new horses, isolation of infected horses, controlling fly populations and use of fly repellents, precautions to prevent transmission via skin or clothing, preventing the use of the same items between horses, and establishing a regular manure management and sanitation program. The crowded conditions at the Double Devil Corrals are not conducive to these precautions. Pigeon fever could be spread far and wide from this adoption event through contact with Devil’s Garden horses who will be shipped away from their homes as they are sold, infecting domestic horses. Visitors to the sale can take the bacteria home on their boots and spread it to their own herd. The Forest Service is not only at risk of causing a disease outbreak but also a lawsuit outbreak by knowingly holding a public sale of horses exposed to pigeon fever. In Defense of Animals is calling on the Forest Service first to quarantine the whole Modoc Forest Service Double Devil Corral facility in Alturas because of the pigeon fever outbreak, and second to postpone the adoption event scheduled for Friday and Saturday for 45 days, or until all horses have been cleared of the possibility of infection. Are there NO veterinarians onsite there? It sounds like no one has a clue as to what they are doing. No quarantine for a contagious disease? What the heck is going on there? Pigeon fever apparently has the same symptoms (or some) that strangles does. Makes me wonder if it truly is pigeon fever – how do they know? They sure dont know much of anything else – who actually made the diagnosis? Per usaspending.gov you and I are paying Cattoor Livestock Roundup Inc. $704,490 to capture and remove our Devil’s Garden wild horses from the Modoc National Forest AND we are paying the Modoc County Farm Bureau $501,396 to assist with the management of the capture and removal of our Devil’s Garden wild horses AND you and I are also paying John Ivie (media/photographer?) $28,400 for the Devils’ Garden capture and removal of our wild horses. Those costs that we are paying to capture and remove our Devil’s Garden wild horses equate to $1,234,286! Per USA Spending the U.S. Forest Service was the AWARDING AGENCY and the RECIPIENT was the MODOC FARM BUREAU. The Devil’s Garden Captives SHOULD be returned BACK WHERE THEY BELONG. The International Union for the Conservation of Nature recommends a minimum-viable population (MVP) of at least 2,500 for a wild-horse herd. The arbitrary management level (AML) for the wild horses of The Garden — 206 to 402 — is way-below MVP. Even at 2,246 adult horses, Devil’s Garden is underpopulated. Further, that number is surely over-estimated because helicopter-surveys are known to double-count due to horse-movement. The AML implies that each horse needs 578 to 1,129 acres. But how many acres does BLM estimate each cow or calf needs? Answer: 38 acres. So, absolutely, The Garden’s 232,500 acres could support 2,500 horses at 93 acres per horse. I further note that it was USFS who split the horses’ habitat into 2 sections and, in so doing, took away 25,500 acres, which were then given over to commercial livestock, which already had many more grazing slots than the horses. Indeed, USFS allows nearly 4,000 cattle to graze in The Garden, where the horses are supposed to, by law, have principal use. I found it telling that Davis Creek’s store manager said: “People just let their horses go up there. It happens more often than you think.” Thus, the irresponsible owners of unwanted horses seem to be giving the true wild horses a bad reputation. Helicopters pose risks to both humans and horses. Their crash-record is high, with numerous fatalities. 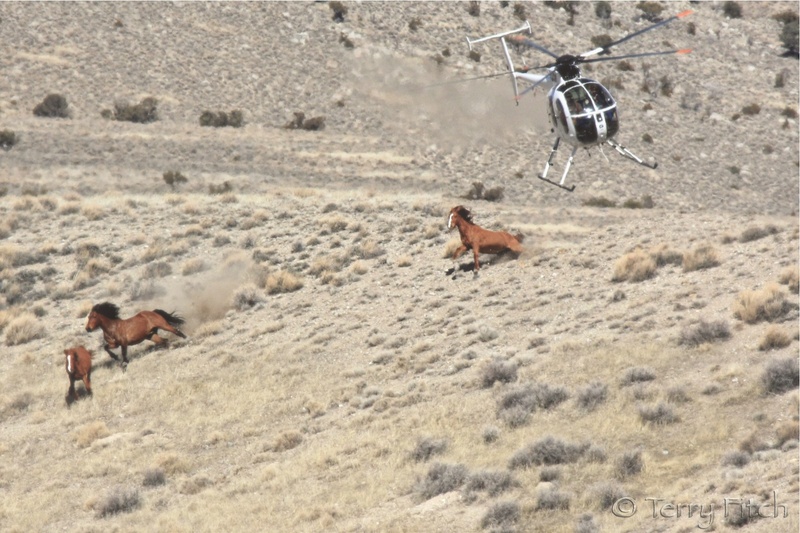 Using helicopters to chase wild horses is abusive, especially in The Garden, where the landscape has been described as “… brutal for gathering. Dense stands of Western Juniper and many rocky outcropping make this landscape one of the most difficult places in the country to gather wild horses.” The thunderous, high-intensity noise of a low-flying helicopter terrorizes wild horses. The rotor wash blasts them with sand, dirt, and gravel. Panicked by the chaos, the horses stampede, injure themselves, and become separated from their babies and bandmates. Mares miscarry. Foals become orphans. Many horses die from stress, even more have to be euthanized. Helicopter-style roundups are abusive. This is unacceptable. Spending $600,000 on a helicopter roundup is a waste of taxpayer money, especially because there is a better way. Modoc National Forest Office declared that it had all the necessary equipment on hand to conduct bait-trapping operations in a humane manner. Therefore, the bait-trapping method should be used — when the herd substantially exceeds the IUCN guidelines for MVP. Bait-trapping is the cost-effective and humane technique. And it qualifies as a best-management practice. USFS and BLM should implement preventive measures to keep wild horses home in their habitat. Fence The Garden’s perimeters — after correcting all boundary-line discrepancies, making sure migration corridors are open, and restoring any herd-area land previously taken away. Next, address those factors that allowed the animals to leave home. Do fences need repair? Do gates need to be checked frequently and closed? I noted that the USFS’ Press Release alluded to how the roundup would supposedly ” … reduce damage to privately owned fences ….” This peculiar justification implies that wild horses are being blamed for property-owners’ failure to maintain their own fences. Because the rationale is wrong, the wild horses should not lose their freedom. Yet, if fences must be fixed in order for the wild horses to stay free, it would be more cost-effective for USFS and BLM to use public funds to pay to have those private fences repaired than to pay for a helicopter-gather. Doing so would save taxpayer-dollars in both the short term and in the long run. Therefore, fixing the fences is the correct solution. Removing wild horses will not fix fences. Track and observe wild mustangs in the last remaining herd area not managed by man in the barren and remote high desert area of Pizona in Inyo National Forest, which plays host to North America’s wildest bands of mustangs. This trip combines a superb outdoor adventure with a unique educational experience. Spend four days observing and photographing the free-roaming herds, blooming wildflowers and other resident wildlife. Enjoy awe-inspiring vistas with their rugged beauty and stunning mountain sunsets. Experienced guides and instructors will lead evening discussions on the history, social behavior and uncertain future of these proud animals. While this adventure is open to any level rider, you should be prepared to ride three to six hours a day with a break for lunch. 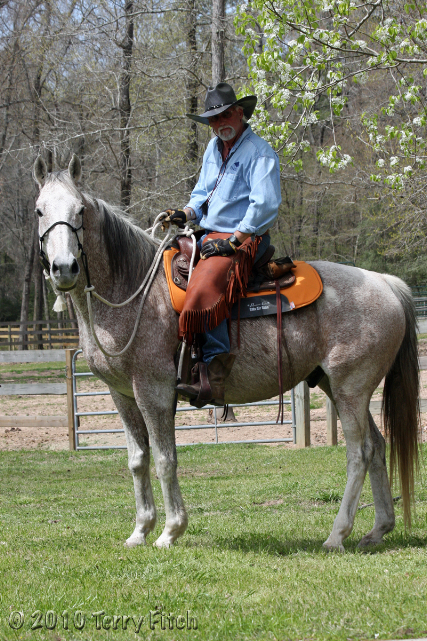 The group will operate from a base central meadow camp and ride out each day to open range. Craig London, D.V.M., is co-owner of Rock Creek Pack Station and Mt. Whitney Pack Trains in the southeastern Sierra Nevada mountains. He practices veterinary medicine in Bishop and has taught many UC Davis Extension courses on veterinary care and wilderness horsepacking. Janet Roser, Ph.D., is a professor with the Department of Animal Science, UC Davis. She directs and teaches the equine program and carries out research in the area of hormone regulation of reproductive function in the stallion and mare. Participants will pack into a base camp in the Pizona Springs wilderness where they will spend the duration of the class. Participants will spend approximately six hours in the saddle each day. Refunds less a $150 processing fee, will be given only if we receive written notification prior to May 10, 2019. No refunds after May 10, 2019. This course does not offer any form of discounts. Colorado State University scientist is investigating the role wild horses may play in slowing the spread of Chronic Wasting Disease (CWD), a 100 percent fatal and contagious brain-destroying infection, ravaging the country’s deer and elk herds. (Macaca cynomolgus). Genetically speaking, this monkey is the closest thing to humans that can be used in laboratory research. Last year, Health Canada (the country’s equivalent to the Centers for Disease Control) issued a health advisory, warning that the “most prudent approach is to consider that CWD has the potential to infect humans. Making the situation even bleaker, the first cases of CWD were recently diagnosed in Montana and an explosion of the disease in other herds around the country, even the notion of a mitigating technique is welcome. But can wild horse really help slow the spread of this deadly disease across the vast landscapes of the West? We explore that proposition below, but first a little background on the prion itself. Zabel said he has “pretty strong evidence” he hopes to publish this year demonstrating that one of the most common ways for CWD to spread is when cervids browse on vegetation contaminated from infected saliva, urine, and feces. Hence, he said it’s possible that horses can consume some of the CWD-tainted material and “interrupt that indirect transmission of CWD prions from cervid to cervid. Wild horses strongly select for graminoids, and their diets are 74% to 86% grass/grasslike plants depending on the season. Grass consumption by horses typically equals or exceeds that of beef cattle and is greater than sheep, elk, pronghorn and mule deer. Horses generally consume less than 15% forbs and less than 10% shrubs regardless of season; however, one study in New Mexico reported 43% shrub composition in a wild horse diet during winter. Cattle strongly select for graminoids with diets consisting of 61% to 81% grass/grasslike plants, depending on season. Cattle also consume more grass than sheep, elk, pronghorn, and mule deer. Additionally, cattle can shift their diet to utilize forbs and shrubs and winter diets on average consist of 18% forbs and 21% shrubs. Sheep diets can consist of 27% to 63% graminoids with the highest and lowest use in summer and winter, respectively. Sheep diets can consist on average of 47% forbs and 26% shrubs in the winter, and forbs comprise a higher portion of sheep diets than that of any other livestock or wildlife species in this bulletin. Elk are often considered to be bulk roughage selectors in general; however, elk are able to make use of all plant functional groups with the ability to shift their diets in response to seasonal fluctuations (more similar to a mixed or intermediate selector). Elk are foregut fermenting ruminants such as cattle and sheep. Elk diets can consist of 25% to 58% graminoids with the lowest and highest use in summer and fall, respectively. Elk diets consist of 11% to 32% forbs with the highest forb use in the summer. Shrub use by elk is the highest in winter, averaging 44% of their diet. Diets of mule deer are comprised largely of shrubs, ranging from 65% to 80%, with some studies reporting up to 97%. Grass use by mule deer is low and ranges from 3% to 7% with an average of 6%. On average, forbs can make up 15% to 24% of a mule deer’s diet, with higher consumption in summer. Pronghorn are foregut fermenting ruminants like cattle and sheep. Diets of pronghorn are comprised largely of shrubs but also can have a high component of forbs. Shrub composition ranges from 44% to 63% with the highest in the fall, with some studies reporting up to 91%. Grass use by pronghorn is also low and ranges from 5% to 10%. On average, forbs can make up 25% to 42% of pronghorn diet with some studies reporting much higher numbers. SISKIYOU COUNTY, Calif. — As fire season inches closer and closer, local ranchers say there’s one prevention method that is not getting used enough. Wild horses that can eat fire fuels. Naturalist Rancher Bill Simpson said it’s a plan that will save lives without hurting taxpayers’ wallets. He and his wife, Laura, have been taking care of and protecting a group of wild horses in the Cascade Siskiyou Mountains for nearly five years. Simpson said about 30 years ago, there was enough deer out there to keep the grass grazed down, but that is no longer the case. “With as much grass and brush as we’re seeing from the lack of deer, we’re going to continue to have these outrageous fires,” Simpson said. He said that’s where the natural grazing, wild horses come in. “They’re logical, they’re practical and we happen to have 48,000 of them sitting in a corral right now at the U.S. BLM and Forest Service corrals,” Simpson said. He said they are able to help in more ways than one. “They can go into a fragile ecosystem and when they eat the plants and grasses and flowers, most of the seeds are deposited back onto the land intact,” Simpson said. He said that’s not the case for other grazers like cattle and sheep. He said getting them out in the forests is the answer, where they won’t cost taxpayers anything while helping reduce fuels. Britt Ivy Boice is advocating for the plan. She said it’s already costing millions of dollars to keep them in corrals, so why not put them to work? She believes it’s another level of live-saving protection the region desperately needs. “Preventing fires is a whole lot easier than suppressing fires once they take off, you’re off to the races,” Boice said. The USFS is under the jurisdiction of the US Dept. of Agriculture — which has the authority to quarantine animals deemed to be a contagious threat. It would seem they should intervene here with federal veterinarians to foreclose the auction and sale until a legitimate quarantine period passes, especially since anyone visiting to look at these animals may inadvertently carry the bacteria home to their other animals even if they don’t take an infected animal home. Where is the federal vet? USDA APHIS doesn’t distinguish between wild or domestic equines. Has anyone reported this USFS situation to them? Federal, state and/or county authorities can identify areas meeting certain criteria including; remote/difficult access areas with potential for re-burn on fire scars, areas with exigent risk to forest products (timber, new production and restoration protection) and protection for fragile forest ecosystems at risk for catastrophic wildfire. Once an area is identified the carrying capacity of the land (based on soils classes) is established. The total carrying capacity would include and be adjusted for the existing populations of large herbivores (deer-elk), and then add enough wild horses to match 50% of the total estimated carrying capacity. Carrying capacity varies with soil class and the ability of soils to support plant growth annually. Fire scorched soils have reduced carrying capacities for grazing due to the pasteurization (death of beneficial microorganisms) of soils and sublimation of minerals and mineral analogs. The optimal herbivore for rebuilding fire damaged soils is a wild horse due to its simple monogastric digestive system. The Forest Service MUST halt the Nov 16thadoption of horses in the Double Devil Corrals in Alturas, California. It is public knowledge that 6 horses from this herd have been destroyed after showing signs of Pidgeon Fever. This is a communicable disease that is easily transmitted to adopters’ animals. That the Forest Service would pursue this course of action after deeming the illness so grave as to warrant death is gross negligence and could result not only in public outrage but in potential lawsuits. Moving forward with this event would be inexcusable, as the Forest Service is knowingly putting the public and their livestock at risk of harm. I was just looking at photos posted of the sale at Double Devil holding pens today, although hoping that it wasn’t allowed to proceed. Looks like they succeeded in spite of all the protests. It was so sad to look into the eyes of these horses… the same expression of sadness, confusion,and bewilderment was in every eye. Sick. Wonder how many kill buyers were lined up to do just that at 25. dollars each, with “restrictions” of course. Next, they’ll be hauling them off by the double-decker loads for pennies. I am so disgusted right now, I am ashamed to member of the human species. I was so happy that Zinke was planning on taking his criminal arse out, and that there could be a real turn around in the fate if our precious horses and little burros, and now this Modoc travesty is proceeding. How many more will be railroaded through before January? I am eternally grateful that Michelle Lujan Grisham is now NM’s Gov. and will fight for the SAFE ACT -113 (she was the co-author) along with the other brave, strong women elected… pray that it gets signed into law. The irony is that Zinke was just there in the area posing with The Great Evil Idiot in a visit to the fire ravaged Paradise disaster… they both turn my stomach. If there is any Justice in this universe, they will reap the whirlwind, and swiftly, damn their rotten souls to the lowest hell. They are not worth one of these sacred horses’ lives!